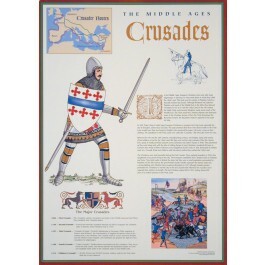 This original poster focuses on one important aspect of the Middle Ages: The Crusades. 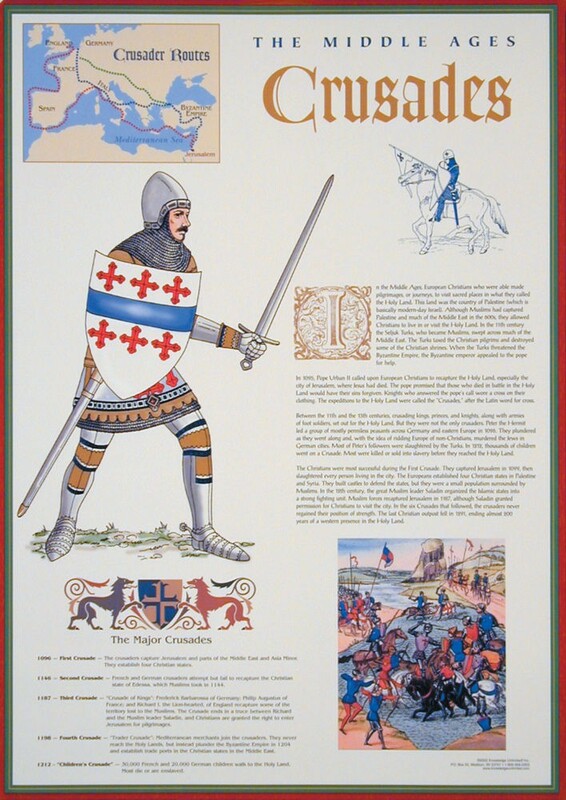 The poster contains clearly explained background information about the Crusades, and is beautifully illustrated with current and historic art. It also features an historic timeline, and a map showing crusader routes.